Mysterious lines in the number of 1949 Surakarta notes unraveled? 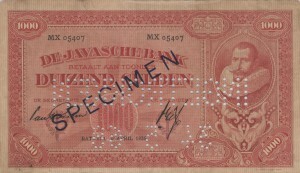 Part 7, November 1925 – March 1931, printed by Joh. Enschedé en Zonen. 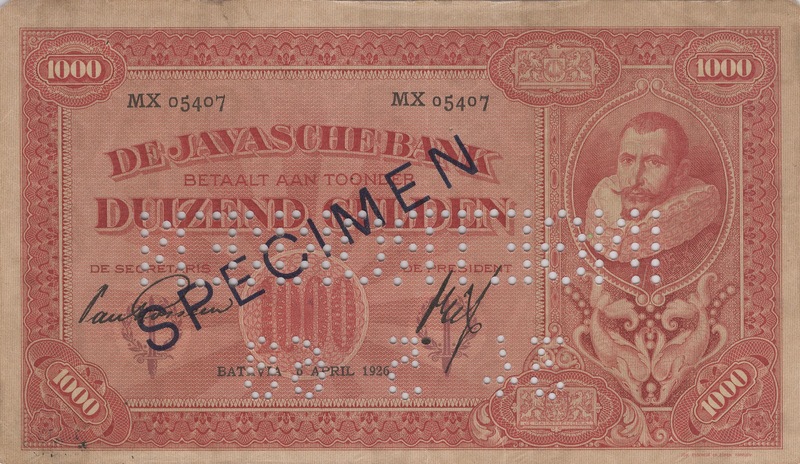 Please find below what is to become chapter 7 of my Netherlands Indies and Indonesian paper money catalogue. This part is about the Coen II series, called that way because the portrait of the Dutch merchant and statesman Jan Pieterszoon Coen was already depicted on older Netherlands Indies banknotes as early as 1864. This version of the below catalogue is to be considered a draft version because I am convinced it does not yet provide a complete overview of all varieties, dates and signatures. This is merely a summary of all varieties that I came across during more than 15 years collecting Netherlands Indies notes of this particular period. When talking to fellow collectors I heard about the existence of other varieties, but I have not included any information about those rumors into the catalogue. All notes and their varieties in this catalogue have been carefully checked for their authenticity and in case of doubt they were double-checked with peers. I am happy to expand the catalogue with new information, given that sufficient proof of authenticity is provided. « Does anyone know more about this 2 1/2 Rupiah PERSOPA note from 1948? Copyright © 2019 papermoney All Rights Reserved.